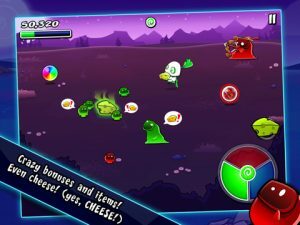 A wonderfully original arcade-style game from developer Grumpyface Studios, Wispin HD is a deserving winner of this week’s iPad Game of The Week. 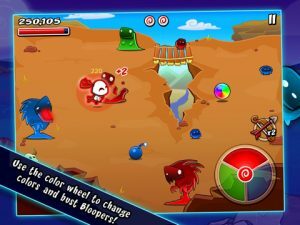 Featuring gorgeous visuals with bright and colorful HD graphics, retro sound effects and simple and addictive gameplay, Wispin HD is a breath of fresh air in iPad gaming. 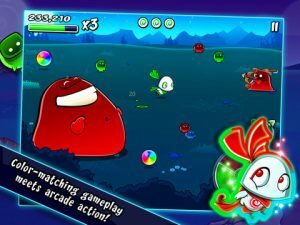 Wispin HD is a color-match battle royale, using a little wheel in the bottom right of the screen, you’ve got to match the color of your enemy – “Bloopers” – in order to defeat them. Blue, green and red enemies pop up at random and you’ve got to switch colors on-the-fly to take them down. To control your character you can either choose an on-screen joystick or tilt control before the game begins. 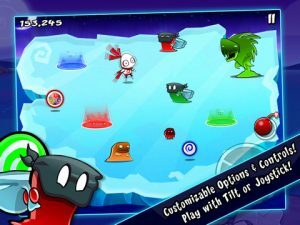 To kill the pesky Bloopers you simply run into them, but there are also a number of power-ups you pick up along the way, including bombs and arrows to help you truly unleash the fury. 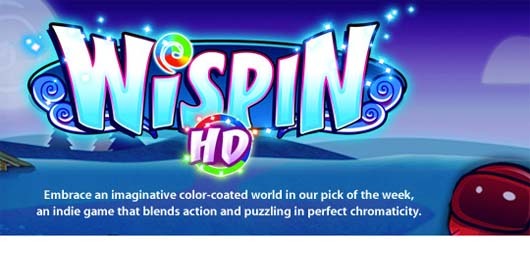 With a number of different maps, and a ton of replayability, Wispin HD comes highly recommended.